Image clipping is the process of removing the background from a product image and replacing it with a solid block of colour. Most people put their products onto white backgrounds as they are neutral and offset most products nicely. There are a variety of techniques that can be used to clip images. Most professionals use image manipulation software such as Adobe Photoshop. Within Photoshop there are several different tools you can use to cut out a product such as channels, the pen tool and lassos. Each tool will give a different result and is suited to different types of products. Channels for example can be used to cut out products with a complex edge that contrasts the background. Such as a dark furry teddybear against a light wall. The pen tool is the most common for clipping products as it is extremely versatile when it comes to tracing both curves and straight lines. With practice it can be used to cut out extremely complex and detailed shapes – although this can take a long time until you’re familiar with the tool. There are lots of reasons to clip your product photography for selling online. Firstly, it removes any distracting backgrounds and ensures that your products are brought to the fore. This is doubly important if your products are photographed in a warehouse or against unattractive and unprofessional looking surfaces. When all your images are clipped onto white backgrounds they will all look consistent and professional. Professionalism is important when selling online because to secure sales you need to build customer confidence. Any little way you can do that shouldn’t be ignored. There are plenty of other advantages to clipping your products but by far the most convincing is that clipped product imagery is fast becoming a de facto industry standard. If you look across almost all large online sellers their product images are on a plain background. Even marketplaces such as eBay and Amazon have begun to push for clipped backgrounds. Amazon have actually started rejecting images that aren’t on a white background and eBay’s latest image guidelines highly recommend clipped imagery. With the professional look of clipped images helping to convert sales it is easy to see why they are moving in that direction. How easy is it to start clipping my product photos? If you’ve experience with Adobe Photoshop you can begin clipping your product photography right away. It only takes a while to get to an acceptable standard. However, there are lots of good reasons to outsource repetive jobs such as clipping. Professional companies can often do the work much quicker and cheaper than you doing the work yourself – it also frees you up for doing more important tasks in your business. 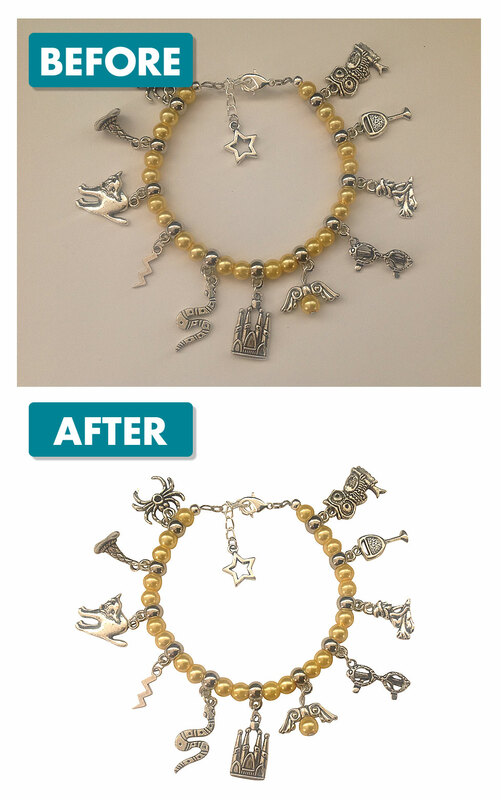 If you’re interested in outsourcing your image clipping you can try our free trial and see how easy it can be. All of our tips and tricks for improving your photography can be found here. Or you can keep reading our next guide to the different file types.